The union has called for another 48-hour stoppage in Melbourne next week. The Maritime Union of Australia (MUA) has upped the ante in its battle with Patrick on a proposed enterprise agreement (EA), calling for a 48-hour stoppage in Melbourne next week. Workers at the East Swanson terminal are currently on a 48-hour strike ending 7am tomorrow. 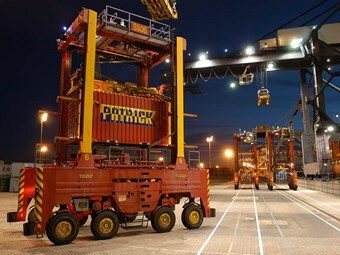 The union’s decision comes after Patrick Stevedores decided to take its ‘final offer’ directly to the wharfies through planned ballot from May 4-9. Next week’s strike will further dent Patrick’s business, with the company already complaining about productivity loss owing to protracted industrial action since last year. The company earlier warned workers of penalty action including lockout across all terminals if the union refused to accept its final offer till 5pm last Friday. The union rejected Patrick’s "arbitrary deadline" and said it would reveal its decision today. However, earlier this week, the company decided to bypass the union and take its proposal directly to the workers – a move that didn’t go down well with the union. Patrick has since reconsidered the lockout option and says it will not initiate any retaliatory action until the ballot decision was out. The company says it has limited options under the Fair Work Act to break a bargaining deadlock and hints at being open to government intervention in the matter. "We have deliberately avoided using the powers the law makes available to us to lock out our workforce and we continue to show restraint," Patrick HR director Alexandra Badenoch says. "We would welcome government intervention or arbitration from the Fair Work Commission to help resolve all outstanding issues, however, we recognise that the scope for this to occur is limited. "The remaining options include going to another vote, a consent arbitration process if the union agrees, but it also includes a lockout." Patrick concedes that there was huge risk of the offer being rejected, but states that employees should have a say "ahead of any other action being taken to attempt to break the impasse that exists between Patrick and the MUA". The ballot will be run by Elections Australia Pty Ltd in Sydney, Freemantle, Melbourne and Brisbane. MUA remains confident that the workers will reject Patrick’s offer. "I am more than confident that the workers will overwhelmingly reject the offer and if Patrick had have taken my phone calls, I could have told them this and saved them time and money," MUA deputy national secretary Will Tracey says. The union and the company have been engaged in bitter negotiation talks since the expiration of the previous EA last July. The talks have derailed several times over the past months, with MUA workers initiating shutdowns across many terminals.